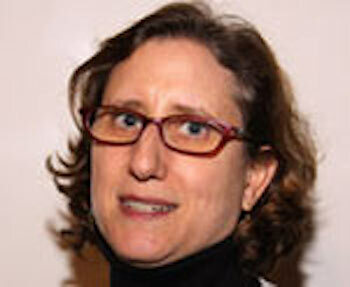 Amy Singer is a writer and editor specializing in legal issues. She worked at The American Lawyer magazine for 20 years, covering topics that included the death penalty, product liability, white-collar crime, takeover battles, immigration and women in the law. Among several honors, Singer won a Jesse H. Neal National Business Journalism Award for Best Single Article for her editing of "Recipe for Disaster," an investigative feature on the misconduct and miscalculations of lawyers defending Morgan Stanley in a lawsuit brought by billionaire Ronald Perelman. She wrote one of the lead articles in “Can America Enforce Its Drug Laws,” which won a National Magazine Award for Single Topic Issue. While crime and justice issues have been a central focus of her career, enhanced by a one-year fellowship to attend Yale Law School, Singer has also covered a range of subjects outside the law. She has edited at BusinessWeek and Thomson Reuters, and she worked at The New York Times as a news assistant and wrote for several sections of the paper, including the Sunday Magazine. She has also written for The Nation, Marie Claire and other publications. She won a Casey Medal for Meritorious Journalism, Honorary Mention, for her Marie Claire magazine story, "Girls Sentenced to Abuse," in which she investigated claims of assault and sexual abuse of girls held in an Alabama juvenile detention. Singer attended the University of California at Berkeley, graduated from the University of Massachusetts at Amherst and earned a Master of Studies in Law degree from Yale Law School. Do you want to be a foreign correspondent? Cover the courts? Write magazine features? No matter what your aspirations, the ability to put together an accurate, clearly written story on deadline is essential to achieving your goals. Working on deadline is equal parts mindset and technique. Both can be acquired with practice and you’ll get lots of it in this class. You’ll write at least one story a week and will get detailed guidance and feedback throughout the process. Assignments will replicate the sorts of deadline stories you would be likely to cover for a mainstream media organization – live events, second-day stories and short features. You will have the opportunity to cover stories from your Reporting class beats, thus building on the sources you developed in the first half of the semester. In class, we will brainstorm story ideas and angles and discuss strategies for reporting and writing when the clock is ticking. You’ll learn to turn deadline anxiety into adrenaline, to produce standout stories – and to have fun in the process.